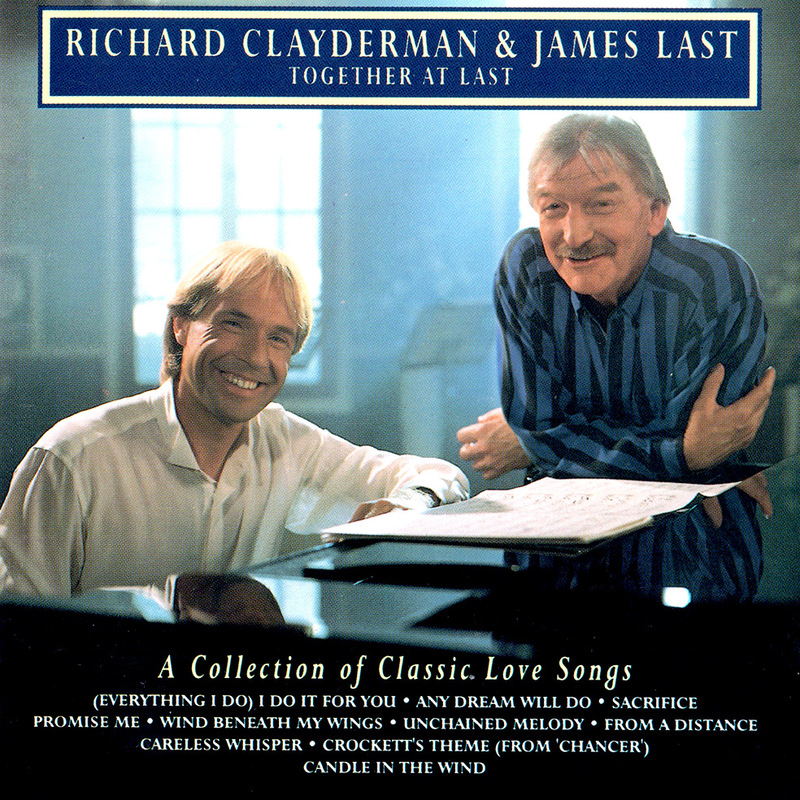 ‘Together At Last‘ is a studio album featuring 14 popular songs incorporating Richard’s distinctive piano style with James Last and his Orchestra. A second version of this album, ‘Amour And More‘ features a similar track list, but the backing is Richard Clayderman’s own orchestra. ‘Two Together‘, a compilation of all the three Richard Clayderman and James Last albums has since been released, and is available to download via iTUNES and other sites. ‘Candle In The Wind’, ‘Promise Me’, ‘From A Distance’, ‘Sacrifice’ and ‘Moonfire’.